There was a time when bodybuilding was considered as a forte reserved only for Olympians, professional athletes and movie stuntmen. Common people usually did not fret much over their biceps and triceps and muscle building in general. In the recent past, with increased media and communication advancements, the fitness industry has picked up sharply. There is a rapid rise in the number of people who are taking up fitness regimes. That is partly because of increased health awareness and majorly because of focus on certain body types and built as a standard of fashion and beauty. More young men today are joining fitness clubs and taking up bodybuilding to get those desirable six-pack abs. Well-built muscular bodies exude appeal and masculine strength, but it is certainly not an easy target to achieve. It is one tough journey that demands a change of lifestyle, rigorous fitness training, and diet control. Many people make body goals but leave it midway because either they find it too difficult or they are unable to get proper guidance. It is no brainer that bodybuilding is all about workouts and that too a very rigorous one. However, bodybuilding workouts are not like your regular gym routines and a 30 minute of the treadmill will certainly not help you get the desired results. Since bodybuilding focus on building muscles in a specific manner, it requires a scientifically designed fitness program that targets the right areas and muscles. When working out specifically for the purpose of bodybuilding then the combination of reps, sets, weight and the type of exercise drives how well your muscle for a specific area will be built. Usually, people who have little knowledge about how muscle building and weight training works are not aware of the right combination of stretch, reps, sets, and weights. There is no one-type-fits-all formula and each body type requires a different type of combination. Therefore, it is highly recommended that you hire a personal trainer who is qualified to guide you about the right workout according to your body conditions and goals. While workout is the most important component in a bodybuilding journey, it alone can’t do much. Workouts should be supplemented by dietary changes and focus should be on a high protein based diet. Animal protein should be the main source of protein. There is a special focus on portion control and frequency of meals taken in a day. Protein shakes and other protein supplements are an important part of bodybuilding diet because these protein supplements are meant to facilitate quicker muscle recovery. Your body produces a certain kind of a hormone known as testosterone that plays an important role in muscle building, stamina building, and recovery. However, an average body produces only a certain level of hormones according to body requirements. If you can induce more hormones in your body through an external source, it will automatically result in better stamina, strength and muscle building progress. This is where Anabolic steroids come in. However, most people are not aware how anabolic steroids work and therefore should not consume these steroids without professional consultation. Remember that you can only buy these steroids on a doctors prescription and cannot keep steroids for sale. The range of dietary supplements available in health stores and online is so extensive, it can be a confusing and frustrating experience trying to choose which ones might be of benefit. Each product is marketed to make it appealing to as many people as possible, and as a result, a browse along the supplement shelves can make you wonder how many essential micronutrients you could be lacking. Unfortunately, if you were to take multiple supplements in an effort to improve your health, you could end up making it worse with overdoses and negative product interactions. There is definitely a place for supplementation, but it’s important to understand how supplements work and when they would be appropriate for you to use. These are one of the first types of products people turn to if they think they need a health boost. You can buy individual vitamins and minerals, combinations to help with specific problems, or multi-vitamin and mineral supplements. Many people choose to take a multi-vitamin every day, just to make sure they’re getting enough of everything they need. Others wish to target specific symptoms that could indicate a deficiency in a particular micronutrient, for instance, you might take an iron supplement if you were feeling weak and washed out. Nutrition is a subject that is constantly being researched and assessed, and studies show that most people would get more than enough essential vitamins and minerals from a healthy, balanced diet. Micronutrients tend to be easier for your body to process if they come from the food you consume rather than a supplement, so choosing to eat more fresh fruit to keep your Vitamin C levels up, or dark leafy greens for Vitamins A, K, and E and iron are the best ways to ensure you’re getting everything you need. If you’re able to eat a wide variety of foods from all the food groups, you shouldn’t need to take a supplement. However, if you have a strong dislike of certain types of foods, it is possible you could be deficient. A blood test can highlight any clinical deficiencies, so if you suspect you might not be getting enough micronutrients, it’s worth getting tested to see what the situation is. You can then adjust your diet or supplement it with the exact products that will ensure optimum health. There are many products formulated to target specific ailments with a combination of substances thought to provide relief from symptoms. For example, evening primrose oil and B vitamins are used to help relieve the symptoms of pre-menstrual syndrome, and fish oils, glucosamine, and chondroitin sulfate are commonly used by people with arthritis. In some cases, there is a substantial amount of anecdotal evidence to support the fact that they help with symptoms, but there’s less in the way of clinical research into the effectiveness of medical supplements. Trials are ongoing into many herbal and dietary remedies, so it’s a good idea to keep informed on the results of such research, so you can make an informed decision about which supplements to try. The range of medications for some conditions is so extensive it can be hard to know which one to buy, but if you have an understanding of how well the active ingredients have performed in strictly controlled tests, it gives you a better chance of selecting a product that could have beneficial effects. One very important consideration is the potential for any kind of supplement to interact with prescribed medications. If you’re undergoing treatment for any medical condition, you should speak to your doctor before starting a course of supplements to make sure there’s no risk of negative interactions between your prescribed medicines and the supplement. If you’ve been feeling off-color, or been laid up with the flu, you could well be feeling in need of some kind of tonic. There are many products aimed at giving you a boost, from short-term fixes that contain stimulants like caffeine to ones that look to address underlying health issues by targeting micronutrients that you may be temporarily short of, like Vitamin C and iron for post-viral fatigue. If you feel in need of an energy boost, these products can be helpful in the short term, but make sure you’re not masking the symptoms of an underlying health problem by keeping yourself going on energy-boosting drinks or snacks. There’s also an extensive range of supplements aimed at people who are looking to increase their muscle mass and build up their physique. Many are high-protein powders and supplements designed to optimize muscle development. This isn’t exclusive to body-builders, all kinds of people want to find ways to help get a toned physique and the perfect beach body. In previous years steroids were the drug of choice for building muscle, but they had harmful side effects that led to them being declared illegal back in 2004. An alternative treatment is prohormones, which supplement your body’s hormone production in a more subtle way than steroids but have many of the same results. If you are looking for ways to improve your physique, you should think carefully before taking any kind of hormone-related treatment and research the topic thoroughly. A good place to start is with a reputable source of information such as RUI-Products, who supply researchers with a range of related substances and thus have extensive knowledge on the subject. If you’re worried you might be lacking something in your diet, or you’re looking for some help with treating symptoms of a medical condition, supplements are an obvious place to start. Many people do find that supplements help significantly, and in many cases taking a supplement is preferable to resorting to more prescription medication. The important thing to remember is that if you have symptoms of any kind, you should talk to your doctor first. You want to be able to rule out any medical causes that could need specific treatment, and make sure that there won’t be any adverse effects if you do start taking a supplement. Tests will also highlight any deficiencies you may have, meaning you can spend your money on the most relevant and effective treatments. How much do you do to enhance your health? You may feel like you have everything figured out since you have been taking a balanced diet, working out, taking lots of water but the truth is, that is not enough to keep that body in the right shape. Taking supplements have proven to be an effective way of supplementing your body with vitamins, minerals and other nutrients that you may need. There are many supplements out there on the market, and sometimes it can be hard to decide which ones are best for great results. You also want to go for something that offers more than just one nutrient. Well, multivitamins could just be what you are looking for. Your body needs a load of vitamins for proper functioning and maintaining health. Although you can attain them from your normal diets, taking additional vitamin supplements helps you acquire more and more benefits. The beauty of multivitamins is that they condense valuable nutrients and minerals on one supplement and you don’t need to go through a whole diet to get the nutrients. Men’s multivitamins are available in many forms and can be taken as tablets, gummies and also drinks depending on what suits you. Studies have shown that more than 50% of men consume multivitamins on a regular basis as they come as a package with multiple nutrients. But how do benefit from taking them? Here is how. The supplements have been designed to fill any gap in your diet by supplying all the necessary nutrients for men that you could not get getting from your daily meals. It is evident that most adults consume a lower amount of vitamin A, C, and E, magnesium, and calcium than the recommended amount. Adding multivitamins to your health routine will fill in these deficiencies, and you can avoid the numerous problems caused by the shortage. For example, vitamin c is ideal for preventing scurvy, calcium and magnesium are vital for bone health while vitamin A is essential for your skin. Multivitamins have proven to enhance memory and men who take multivitamins experience improved alertness, ability to remember things and improved overall well-being. While these supplements are good at preventing vitamin deficiencies, that is not all they can offer. They are great for minimizing the risks of different types of cancer other than prostate cancer, and that’s not all. They can protect you from a heart attack and other chronic diseases. One of the best ways to lose weight other than working out is controlling your diet. In fact, this plan has proved to be more effective than exercise. Even if you hit the gym every day, but you do not look into what you consume, all your efforts could end up in vain. A good thing about multivitamins is that they can help in hunger management. This way, you will feel less hungry, you are likely to eat less, and in the long run, it will help you lose weight. Who does not want to look young? Nobody wants to look like they are in their 30’s when they are only in their middle 20’s. The vice versa sounds attractive. One of the bonus benefits of taking multivitamins is improving your aging cells and protecting them from age-related DNA damage which is equivalent to slower aging. Carbs are known as the energy giving foods, but the energy you get from consuming them may not be enough. Men specifically need a lot of energy as they tend to engage in energy-demanding activities. This is especially true if you work in areas that require a lot of weightlifting or you love the gym. You will need to supplement your regular carb intake with multivitamins to reach the ideal energy level. One sure thing is that multivitamins can be significantly beneficial to your health provided you take them in the right manner. They are meant to be supplements and just that. One of the biggest mistakes that most individuals make is assuming that they can miss out on taking some meals since they are taking multivitamins. You do not have to starve yourself and expect these supplements to do it all for you. The aim is to improve your healthy lifestyle, and you, therefore, have to keep to keep on with your normal life routine, take healthy meals and workout regularly for better results. The benefits of taking supplements and multivitamins, in particular, are endless. What’s better? You can easily find them at any health centers and pharmacies, and you do not need a prescription to take them. You, however, need to take them cautiously and consult your doctor before embarking on the supplements journey. Begin today and enjoy all the benefits that come handy with these nutrients complement. All the best. Dietary supplements are generally denoted as healthy supplements that assist you in maintaining your daily diet and supporting the organ by providing all the necessary nutrients. However, the question often arises whether dietary supplements are safe for weight loss as dietary pills come in different forms. Dietary supplements are generally divided into three segments where weight loss takes one section. Many people in the world take dietary supplements for weight loss treatment because it often acts as a fat burner, but it doesn’t disrupt natural metabolism process. Traditional fat burners for weight loss creates a lot of side effects but this pills smoothly curbs down the weight and supplies the necessary items in the different organ of the body. People often believe that everyone can burn their weight through exercise or by regulating their food diet but in reality it is not always possible Dietary supplements serves as a two in one capsule which rejuvenates the body and curbs down excess fat at the same time. This pill serves as good source of minerals and vitamin that are necessary to maintain a healthy body. Diet pills are considered as effective weight loss supplement because it has many benefits associated with it. It carries all the attributes that a weight loss pill should carry to maintain the health of the body without causing any other damages. However many professors believe that some company often endorse that their dietary supplement helps in reducing weight but in reality, they don’t. As all the production of the supplement is not monitored by the government, so it is not possible which dietary supplement will good for weight loss. Although it has been seen many reputed dietetic products are also intended for weight loss, and they have chemically backed up that fact. So we have deduced that dietetic supplements are good for weight loss, but you should opt for the reputed ones. 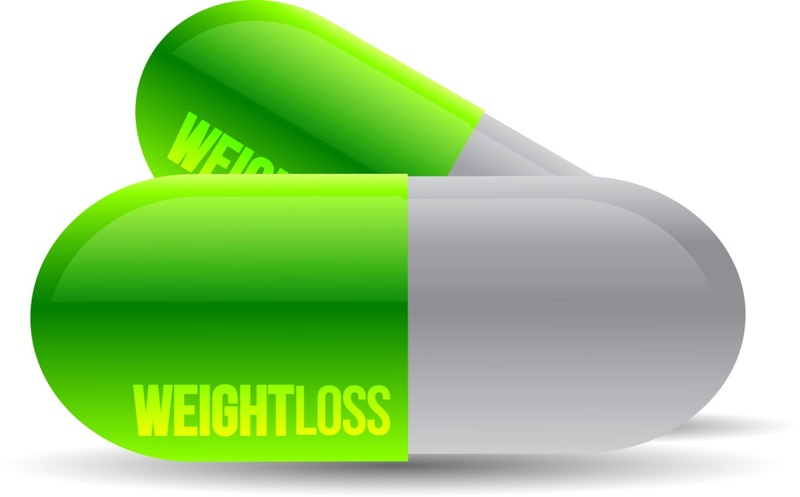 Here we have listed why this supplement is good for weight loss and serves as a better alternative than normal pills. Dietary pills help in maintaining a balanced metabolism rate that assists in preventing excess growth of fats and other elements that cause the increase of weight. Metabolism is the process that is incorporated into our body to convert the food you eat to energy. It is a complicated biochemical process where all the nutrients, vitamins and calories are extracted for the production of energy. It has been seen that slow metabolism rate leads to excessive weight gain but dietary pills help in curbing down the effect by maintaining a proper metabolism rate. Our body gains weight when the breaking process of the body is slow rendering to deposit of calorie and fat in the body. But a balanced metabolism helps in burning calorie and fats which curbs down the weight by a good margin. Dietary supplement only carries necessary nutrients needed by the body, and they give less quantity of calorie and fat. Most of the foods you eat contain a good amount of calorie which adds to your weight and people who doesn’t exercise a lot fails to burn those calories along with fat. But when you want to lose weight, you need control this calorie intake but still, fill up your stomach with basic foods that will provide the necessary energy to the body. Dietary pills that are intended for lowering the body weight provides the necessary vitamins and other nutrients to the body without giving any kind of calorie which will lead to increase in weight. There are some supplements that carry items like caffeine which is a potent agent that reduces the appetite. We often take a large amount of food just to fill up our appetite but controlling the hunger assist in curbing down the weight. The ingredients present in these supplements keep the hunger at bay for good amount of time. Dietary supplements provide the necessary nutrients and vitamin to the body which assist you to achieve a good amount of energy to perform a different task. So acts as an encouragement that gives you the energy to exercise and burn calories in your body. Another good thing about these supplements that it also allows to burn calorie while you are resting which is a good attribute as it is not possible for you to perform the exercise. The dietary supplement is a source of energy that the body can’t meet when they are needed, so external sources are used for the production of those energies. So with energy, it provides the ability to do work or exercise which helps you loses the excess fat and calorie. It is important that the calories and extra fats should be burned in any way otherwise it will add to the weight of the body. CLA or conjugated linoleic acid is a derivative of linoleic acid, and CLA is found in reputed dietary products which assist the user in losing weight. CLA can’t be produced by the body alone, and it needs an external source to meet the need so having dietary supplement with CLA is a healthy way to reduce weight. CLA conducts a series of biochemical reactions that notches up the basal metabolic rate. This increase in basal metabolic rate indicates better conversation of energy from food than the previous rate. The fat tissue in the body is regulated as CLA are associated with a lot of metabolic reactions. According to experts, CLA doesn’t reduce the body weight directly, but it converts the body fat so that energy expenditure gets boosted, and muscles are toned. Some studies have also shown that it acts as a potent agent which reduces the fat mass in the body. This proves that dietary supplements are good for weight loss and it doesn’t hamper the health state of the body. This first supplement should come as no surprise, as people have known the benefits of vitamin C for quite some time now. While vitamin C won’t actually stop you from getting sick in the first place, it has been shown to help shorten the duration of the cold allowing you to get back to your normal self that much faster. There’s no need to add copious amounts of garlic to all your dishes, instead you can reach for a garlic supplement which will get to work fighting those germs. The idea is to take this supplement on a regular daily basis in order to help prevent colds and to shorten the duration of them when you do get sick. Here’s one that has picked up steam over the past couple of years as another powerful tool in helping to fight colds. Zinc lozenges and zinc syrup has now become a go-to item to help fight upper respiratory infections. Again, it won’t be able to cure you, but it is believed to help shorten the duration of the cold. It’s important to also mention ginseng which can be found in a number of different popular cold-fighting supplement blends or on its own. When shopping for ginseng be sure to look for North American ginseng and aim for 200 mg/day to help prevent a cold. You can up that dosage while you are sick.